This entry was posted in Geocaching - Updates, Outdoor - Update by maaloo7. Bookmark the permalink. Dear maloo. i am having issues in tracking in background mode. it just dont keep track. i need to have to keep phone on every time, which is again power hungry. If I am the only one having the issue or not, i donot know either. thanks. hope u will revert back. With WP8.1 it is not possible anymore to track in background. The tracking app must stay in foreground. But you can switch off the display to save energy. Hey, been having issues launching the app after the last update, trying to open it a pop up shows telling me to either uninstall or purchase the app (had already purchased it). Clicking on purchase does nothing so I only can uninstall. Has already happened twice. Been running windows 10 mobile preview on Lumia 1520. Windows 10 mobile is currently not supported, sorry. The app is build for WP8.1. I can not ensure that it works for WP10 (WM10). The not detected bought-state is shourly a bug of the Store, which I can not fix. 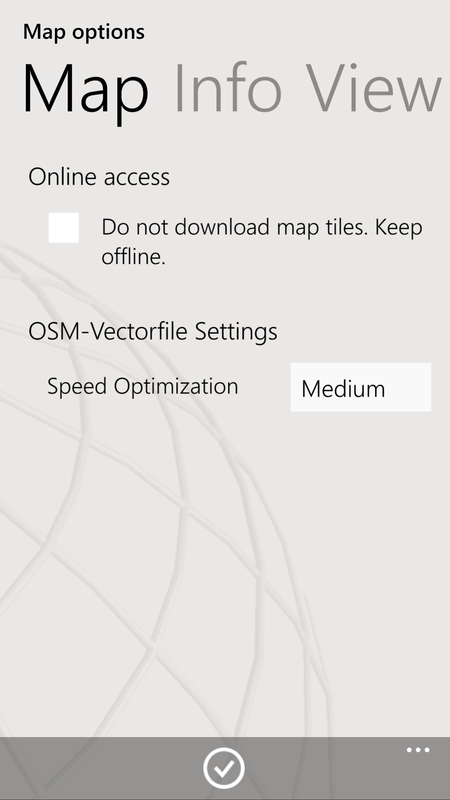 Hi, after the update I’m not able to open maaloo outdoor (WP 820). My husband told about the same problem. Is this a known problem of other useres? Can I solve it by myself? How? Thanks for help. What means “..not able to open maaloo outdoor..”? The update is installed, but the icon is grayed out? It’s the same to me. I installed the update without any problems. Now the icon is grayed out and the app doesn’t start when I touch the icon. If I search in WP store, it indicates within the search results, that I have installed the app. If I (still in the store) open the information page of the app, it doesn’t say anymore that I have installed it. It shows a price of 0,99 € but none of the buttons like “test” or “buy”. Restarting the phone didn’t help. Can I avoid reinstalling the app (which makes me losing all my safed tracks ..)? Hello, I have a problem in Maaloo geocaching, if I want to buy inapps complement outdoor and click on “Buy” program me just ask you if you want to buy this supplement. After confirming “OK”, nothing happens. Thanks for the correction and excellent application.